A new creative craze will be taking over parks and green spaces in #MySefton this summer and you can get involved! #seftonrocks is a new project developed by young people from Sefton Council’s Youth Voice, New Beginnings and Youth Bus projects. Dozens of rocks will be decorated with various colourful designs that are meaningful to young people in the borough and placed around parks across Sefton. We’re encouraging children, young people and families to explore your local parks and green spaces. 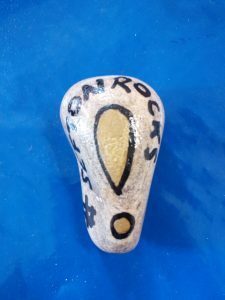 If you are lucky enough to find a painted rock with a #seftonrocks or a seftonyouth.co.uk link, post a picture of it to Twitter and Instagram using the hashtag #seftonrocks to share the message. You’ll find them on main paths so no need to look in bushes and undergrowth! From Wednesday August 1, painted rocks will start appearing across North Park, Bootle, Coronation Park, Crosby and Kings Gardens, Southport. If this pilot is successful we will include more local parks and you’ll see more decorated rocks created by young people, popping up across the borough. Help spread the word and lets get more people talking about #seftonrocks! Seftons' health experts urge residents to get flu jab- It's free because you need it!